A memorial service is planned for Wednesday for former KU athletic director Bob Frederick. 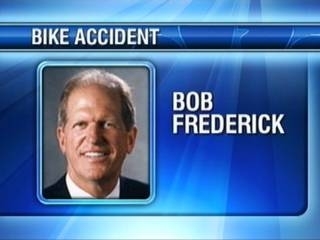 The 69-year-old Frederick sustained head injuries in a bicyling accident on Thursday near the University of Kansas campus, where he lived. He died Friday at University of Kansas Medical Center in Kansas City, Kan. In 1989, as athletic director at Kansas, he passed up dozens of experienced basketball coaches and took a chance on Williams, who was the No. 2 assistant at North Carolina. Funeral Services are set for Wednesday, June 17th at 1pm at the Lied Center at KU’s west campus.